Service Costs > How Much Does an Expungement Cost? Any sort of criminal record can often hurt your chances in a variety of ways, including being denied for housing assistance, student loans or even prevented from getting a professional license in the future. The process of destroying your criminal record, an expungement is usually straightforward for a lawyer, but the prices will vary. How much does it cost to expunge your record? The costs to expunge your record will depend on a variety of factors, including the number of criminal records you want to expunge, your geographical region, the lawyer you hire, the nature of your records (misdemeanor vs. felony) and the court fees involved. As there are so many factors involved, it’s hard to offer an exact estimate, but we can offer a ballpark range. If hiring an attorney, most will charge by the hour, but some may have a flat-fee package, depending on the factors mentioned prior. For most, to expunge a single record, the costs can range anywhere from $500 to $1,300 in legal fees but can easily be as much as $5,000+ in the case of multiple records and for those who live in a high cost of living area. This would not include the court fees, which we get into next. For example, in Tennesse, The Marshall Project noted they were one of the costliest states, charging $450 in expungement court fees, whereas other states typically charged less than $150. PEW said in Maryland, it would cost $30 in court fees, while Kentucky’s new expungement law carries a $500 court fee. In the end, they stated most states would charge $50 to $250 in court fees. Gary Churak, a criminal defense lawyer in San Antonio, Texas, for example, stated his office charged $1,500 to $2,000. Additional Fees In some states, additional fees may apply. Some nonprofits across the United States do offer expungement clinics, which allow people to come in and receive help from either lawyer, law student or a public defender. To find one in your area, a simple search such as “expungement clinic, followed by your zip code” could yield some local results. If you do not feel comfortable doing it on your own, we did find online services that could help, such as Recordgone.com. Ran by a national law firm, the company claims to have help expunge 19,000+ criminal records and their lawyers have more than 50+ years in experience. We could not find much in terms of pricing but could be worth a shot if you wanted legal assistance at a lower price than a local lawyer. A quick search online yielded multiple groups and federal grants that could help with your expungement process as long as you qualified. The Legal Expungement and Assistance Program (LEAP), offered by Goodwill, for example, could help with the process. An expungement is intended to help people who made mistakes in the past but are now law-abiding citizens, usually those who completed probation. The entire goal of this process is to destroy the criminal record in question, essentially “sealing” the record to make it inaccessible to the public as it will not show up on a background check, with the exception of some particular circumstances. Age – Your age at the time of the conviction. For instance, were you an adult or a juvenile? This is important because many states will often grant a record expungement for juveniles but not so much for adults. Convictions – What kind of crime did you commit? From what we researched, many states were willing to expunge your record for first-time drug offenses, for example, especially if you completed an approved drug rehab program. The same could be said about misdemeanor crimes in comparison to felonies. Criminal Record – What does your criminal record look like today? Most states will expunge your record if it’s a first-time offense and you completed all of the necessary requirements such as paying the fines and serving the jail time, if necessary. 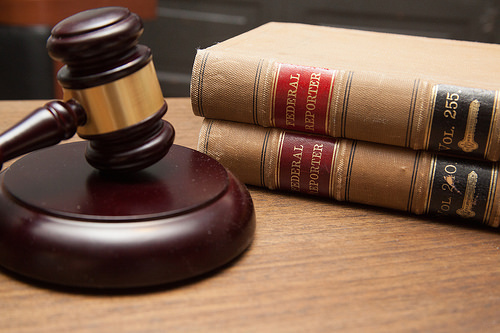 If you have multiple offenses, however, most will have trouble with expungement as it will be highly unlikely. Expunging your record, just like the eligibility, greatly depends on your state laws as the process can vary from one state to the next. While you can file yourself, most experts highly recommend you hire a criminal attorney to assist with the process. Your state may first ask you to fill out a completed eligibility application to see if you qualify. Again, refer to this very helpful Restoration of Rights eligibility guide to see if you do qualify. Your state will also ask you to gather copies of your criminal record and any other related court documents to go along with this applications. If eligible, you will be asked to fill out the appropriate paperwork and pay the related court fees as mentioned above. Some states, however, require you to petition for an expungement. Lastly, after you file the paperwork and pay the fees, the court will then set a court date or you may be asked to select a hearing date yourself. For information in greater detail, the Virginia Legal Aid Society provides an in-depth overview of the process.